A cute adventure game in which you play as a mysterious blob on its quest to reach a fallen star. The mysterious blob embarks upon a new adventure - this time to save his rescue girlfriend from the Dark Lord. Enter a haunted-house at a local carnival and then solve puzzles to find a way out. Do you want to build a snowman? Prove that you have what it takes to win a snowman building contest in this point- and-click adventure. Navigate deep ocean trenches in search for hidden treasures. Be careful, one wrong move could leave you stuck! A somewhat offbeat point-and- click adventure where you play through the daily life of a fireman. Fight through monsters, collect diamonds and use keys to unlock doors. Have you got what it takes to survive? Shapik's sister has been kidnapped. Embark on a quest through a mystical forest to find her in this artistic point-and- click adventure. You are Joe. If you stop moving you will self-implode. 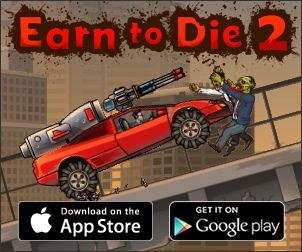 Have you got what it takes to make it through each level alive? An evil sheep has stolen your hat. Prepare for an epic adventure with 45 areas to explore in your quest to get it back! LEVEL UP! A unique game in which every action - from running to jumping to even taking damage - gives you experience and eventually allows you to level up! An obstacle course in which your goal is to make your way through it in the quickest time possible. A once peaceful kingdom has been invaded by three fierce beasts. Play as the small knight whose destiny is to save the kingdom. Search for buried treasure deep underground in your quest for wealth. Use your mouse to throw the "little alien thing" as far as you can. Press the spacebar for a limited boost. Last night I had a dream. I floated in darkness and saw something wonderful... I fell in love with the majesty of colors. All you need to do is make your way to the end of each level by running (arrow keys) and jumping (spacebar) from whatever is chasing you! Catapult stones at enemy castles. Use the mouse to aim and fire. See game page for full instructions. In order to save your girlfriend you must complete a series of fun mouse-based mini-games! In the sequel to Flash Point, play even more minigames as you follow yet another crazy adventure! You are a lone-warrior piece of toast. Make your along the varied landscape, destroying enemies along the way. See Controls before playing. Guide a dog and his wheelchair-bound guitar-playing owner through a series of park-based levels in this very unique game. A whole new world of Squareman. Make your way to the goal in each level by using the arrow keys to move and jump. Avoid the red obstacles. Deliver the bottles to the store whilst trying to avoid smashing any on the way. Arrow keys to drive, space to toot. Search for treasures hidden deep in the trap-filled tomb of Anubis. Explore an island in search of the rare Heart of Tota artefact in this point-and-click adventure game. Solve puzzles as you explore an ancient tomb in search for hidden treasures. Make your way through each level whilst avoiding contact with past versions of yourself.